The 15-year gilt yields have returned to stability along with investor confidence in equities following uncertainty in the global economy and oil prices although annuity rates have reduced. 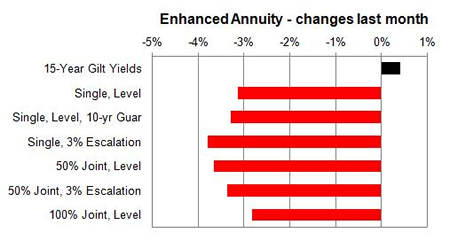 Impaired annuity provider Just Retirement has reduced their rates by up to 4% to bring the market in-line with changes in gilt yields over the last year. As providers of enhanced and impaired annuities dominate the conventional annuity market by offering lifestyle rates any change in their rates can have a wide ranging impact on all rates. The 15-year gilt yields were up by 4 basis points on the month as investor confidence returns to the equity markets and a lower demand of the safety of gilts and bonds. 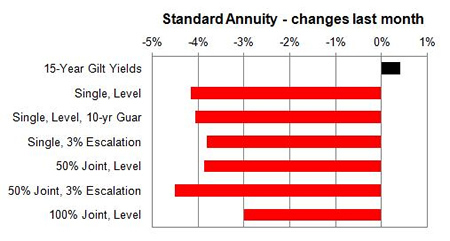 Standard providers decreased rates by 3.94% and we would expect to see annuities remain the same in the medium term. Smoker and enhanced annuity providers decreased their rates by 3.35% on average and in the medium term rates may fall by 0.70%. The majority of rates increased with 1% rising, 0% remaining unchanged and 99% decreasing. All standard annuities decreased by an average of 4.0% during the month with a larger decrease of over 5% for those aged 65-70 buying single life 3% escalating annuities and aged 75 buying 50% joint life and 3% escalating annuities. For enhanced and smoker providers rates the majority decreased ny an average of 3.35% with a larger decrease of over 5% for those aged 55 and 75 buying single life 3% escalating annuities. 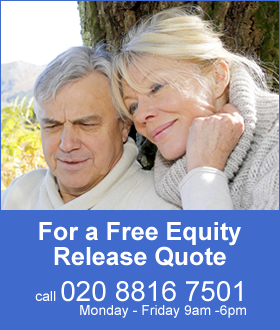 Only for those aged 60 buying 50% joint life with 3% escalating annuities had a small increase of 0.5%.